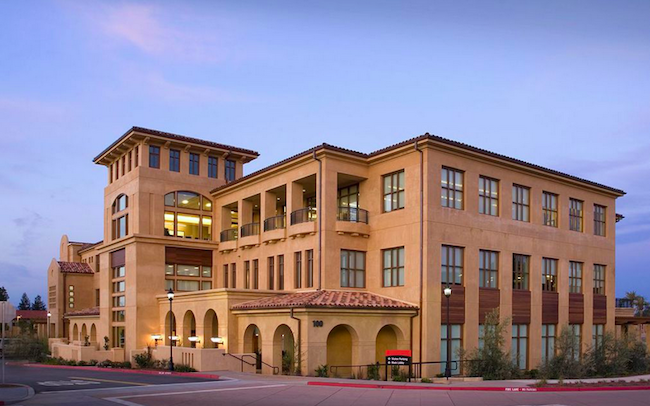 This award winning 80,000 sqft, three-story building is headquarters for the major software and entertainment company Netflix and is part of a mixed-use development and transit hub. 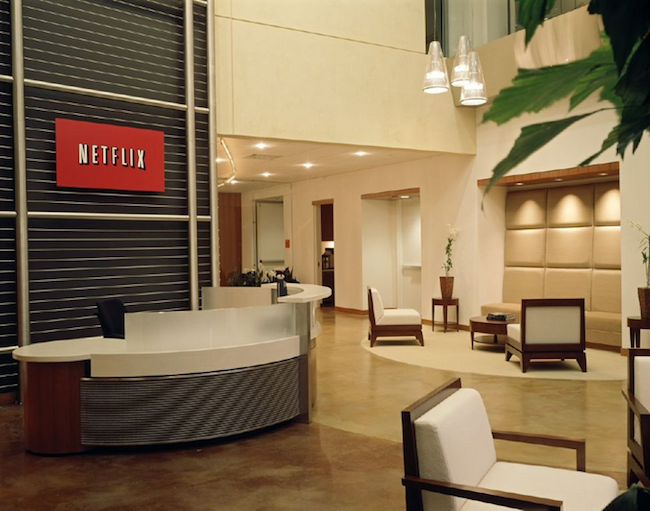 In the main lobby, both the architecture and lighting establish a refreshing uncluttered corporate image. 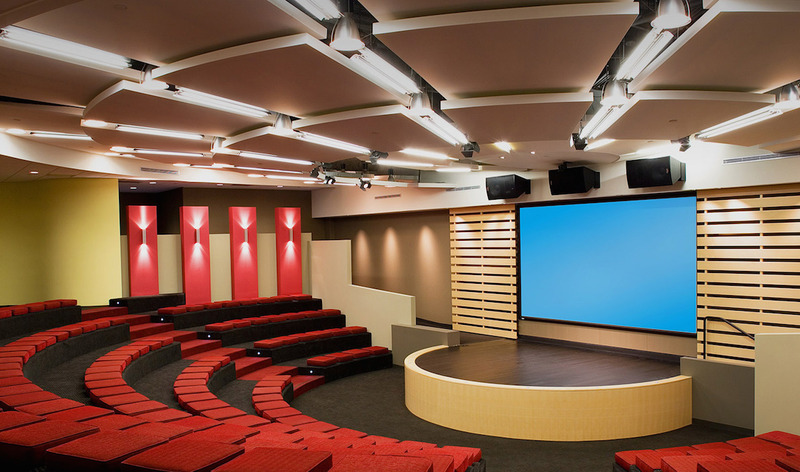 The unconventional theatre is used for video presentations and as a speaker’s forum. 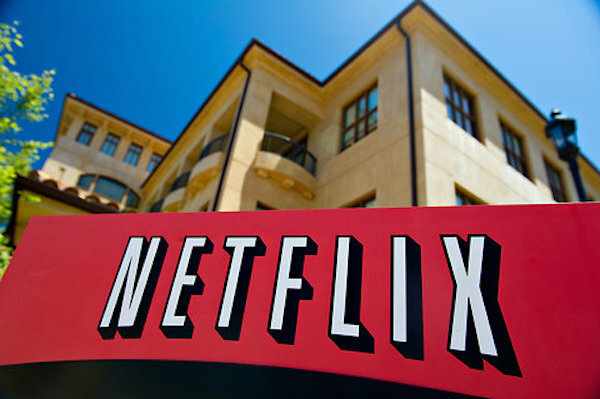 The lighting for the headquarters for the world’s largest online DVD rental service needed to reflect the company’s image of fun, creativity and entertainment. This was achieved partly through selection and placement of lighting fixtures. Some fixtures were selected for their industrial sleek look and others for their whimsical nature. Fixtures are placed to compliment the organic architecture and provide even illumination across the multiple ceiling types. The unique interior architecture heavily influenced our lighting design concepts. Spaces flow from one another in a very fluid manner. 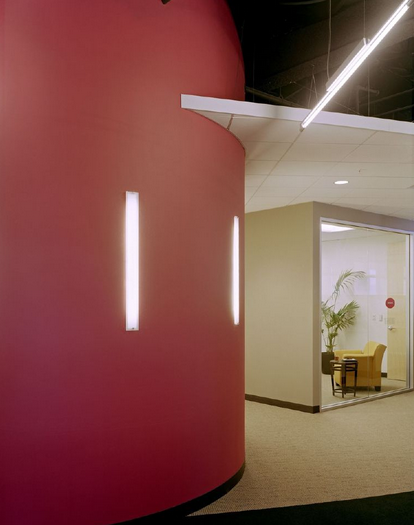 Softly diffused high color rendering 3000K color temperature fluorescent lighting was integrated in curved walls and ceilings to accentuate graceful curves in connecting corridors while providing ample pathway illumination. 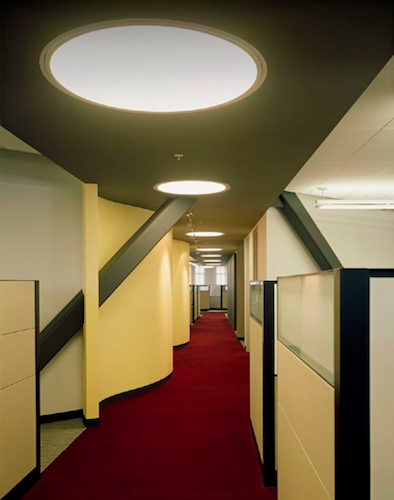 In open ceiling areas, high efficiency T5 fluorescent lamps were suspended at angles in harmony with the curved soffit. 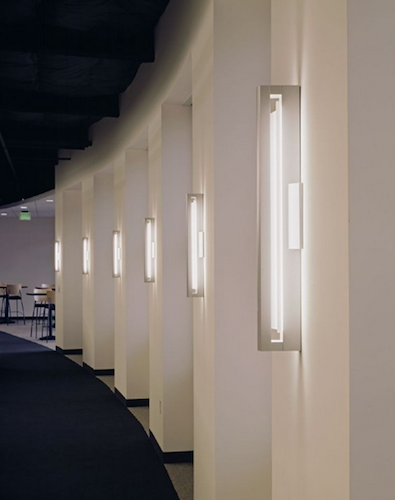 Perforated metal shields clip onto lamps to mitigate glare. In the theater, several light sources and fixture types were selected for maximum flexibility. Miniature LED lights provided soft illumination on the steps when the theater lights are low. Adjustable PAR38 halogen spots with barn door shutters highlight the stage area.General lighting has two sources. 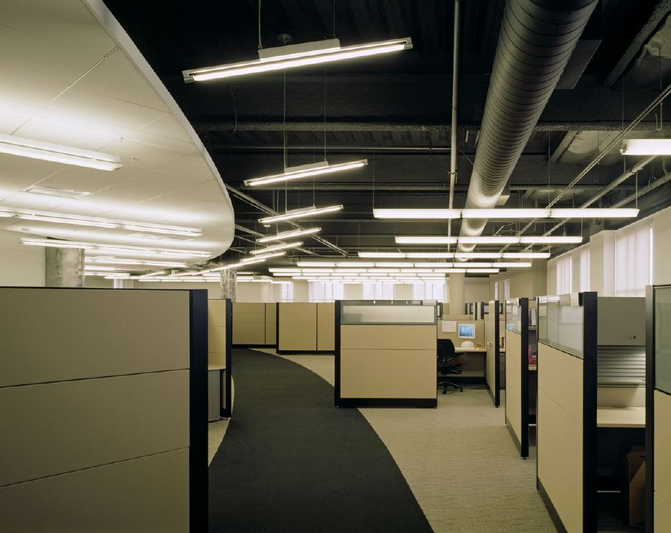 Halogen pendants mounted between acoustic ceiling panels provide soft dramatic pools of down light when a minimum amount of general light is required. 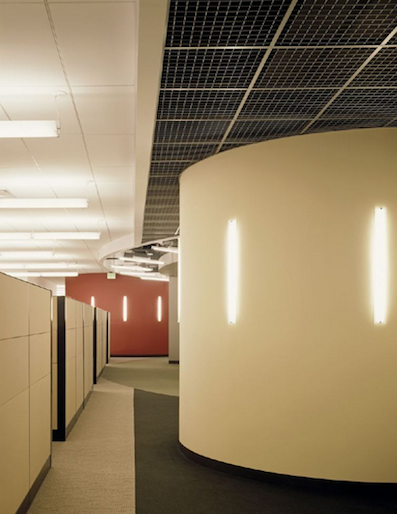 Dimmable T5 fluorescent strip lights with perforated back shields are used when higher light levels are required. Decorative sconces and wall washers are used as accents. building energy consumption to 0.8W/sqft. A sophisticated multi-scene lighting control system is used in the theater to access the many pre-set combinations; including rising and lowering the screen and window shades. 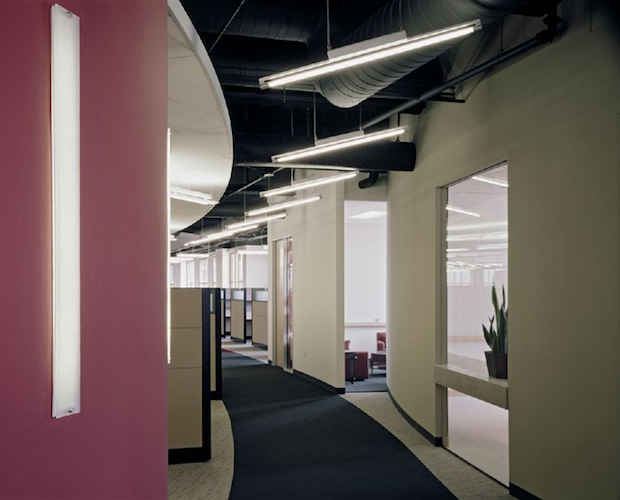 The project was honored with the IIDA National Award of Merit from the Illumination Engineering Society of North America.